Hi everyone! I was so excited to see the latest theme for The Lacquer Legion!! So I sat down and thought about what the term "Adoration" meant to me. I immediately thought of something punky, off the wall, and a little bold. That is fantastically me! I recently had the opportunity to try this amazing set of four nail stud wheels from Winstonia. Just based on some of the studs alone, I immediately came up with something! I started off with two coats of OPI Push and Shove on my index and pinky finger, two coats of Cult Nails Fetish on my middle finger, and two coats of OPI Hey Baby on my ring finger. For a stand out pop over Push and Shove, I added one coat of KBShimmer U Rock My Heart, followed by one coat of SV. I started the pattern on my ring finger using these awesome holo striped circle studs. I love the way the light catches them! 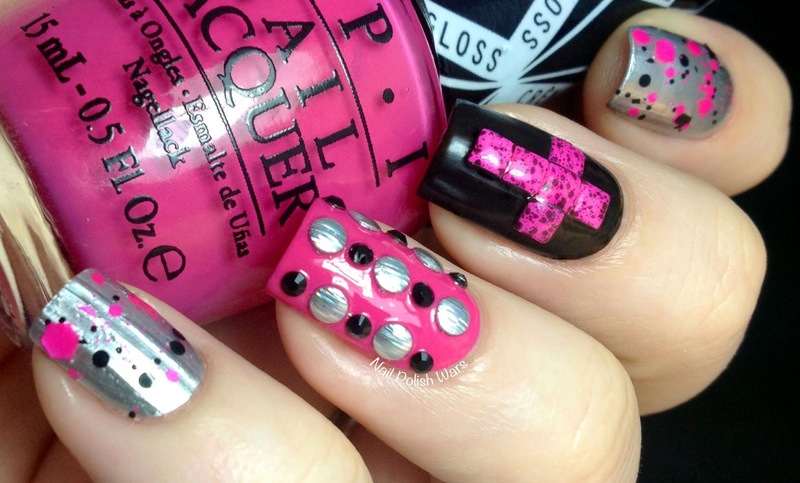 I used the awesome pink square studs with black splatters for the cross on my middle finger, then I added some small black rhinestones to the pattern on my ring finger. I finished with one thin coat of SV to seal my studs on my ring finger, and one coat of Cult Nail Wax That on my middle finger to maintain the wax finish. I love how random and edgy this turned out to be! I had so much fun with it!! I cannot wait to see what next month's theme will be! Be sure to check out this fantastic stud wheel set at the Winstonia storefront here, and you can also find it on Amazon here. I hope you enjoyed! Happy Painting! Thanks darlin!! That's totally what I was going for! I love the way it all comes together - a fabulous mani! Gahhhhh - I love that KBShimmer topper on the OPI Push and Shove! The whole manicure looks very punk. 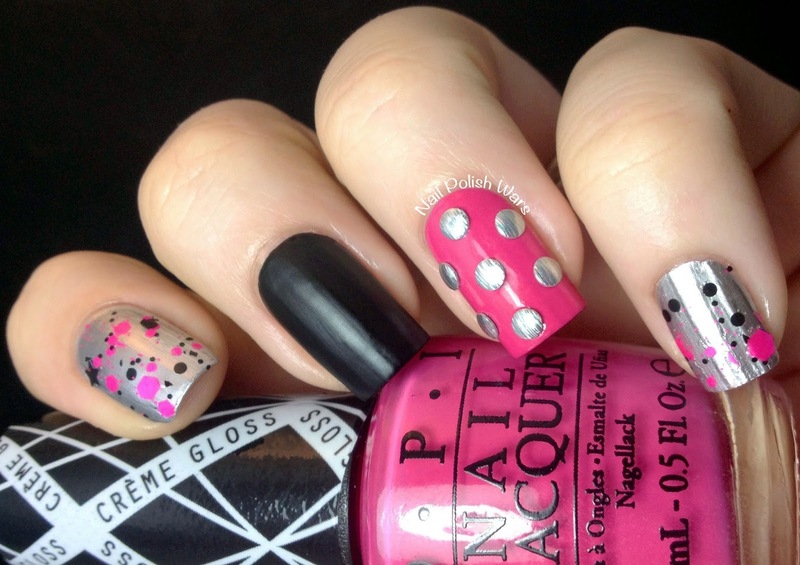 One of my favorite color combinations - black and pink, and then with silver thrown in! 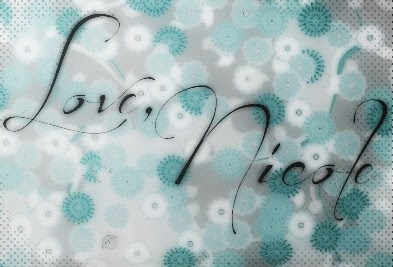 wwow I love U Rock My Heart over Push and Shove!! and the overall mani is so awesome!! So much fun and gorgeousness in one mani!